Experts are expressing doubt a property transfer tax on foreign buyers that takes effect Tuesday will have a significant impact on housing affordability in Metro Vancouver. The next four to six months will be uncertain until the different players in the market decide how to react to the 15 per cent tax, said Anne McMullin, president of the non-profit industry association Urban Development Institute. What is more certain, McMullin said, is that the tax is unlikely to improve affordability for average Canadian buyers who are in bidding wars over the stagnant supply of homes in Vancouver. "The demand isn't changing," she said. Removing foreign interests might bring down the price of $4 million homes to $3.5 million or $3 million in desirable neighbourhoods, McMullin said. "I don't think that's affordable. They're not going to come down that much." The tax legislated by B.C. 's Liberal government last week will apply to foreigners purchasing residential property in Metro Vancouver. 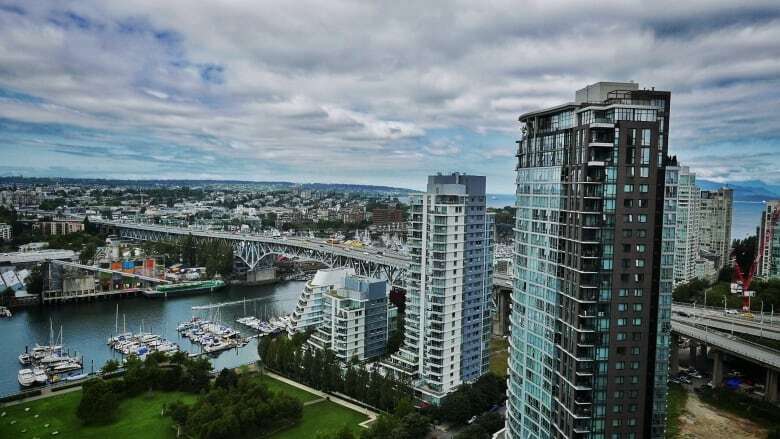 Data released by the province shows that nearly 10 per cent of property transfers in Metro Vancouver during a five-week period from June 10 to July 14 involved foreign nationals. The province has also put forward changes that would enable the City of Vancouver to implement its own vacancy tax. The changes are intended increase the existing housing supply that is available to British Columbians, Finance Minister Mike de Jong said moments after the tax became law last Thursday in Victoria. University of British Columbia professor of economics Thomas Davidoff said foreign interest is a major factor contributing to the high prices in region. "If you eliminate foreign demand from this market, it is very hard for me to see how prices wouldn't fall 25 to 50 per cent," he said. However, Davidoff added that he doesn't anticipate the tax will completely drive out foreign buyers, preventing any major drop in prices. The degree to which foreigners are deterred and the financial impact that will have is what everyone will have to wait and see, he said. A "home run" for the province would see foreign interest staying steady and as a result, generating around $1 billion annually through the tax, Davidoff said. The province has said revenue generated by the tax will fund government housing initiatives for renters, low income earners and first-time buyers. However, McMullin said an aggressive increase in development, not taxes, would be the most effective way to improve housing affordability long term. "There are still 40,000 people moving into this region per year," she said. "If you don't create that kind of supply that allows for competition in the marketplace for the consumer, you're going to have high prices." While a tax was a necessary step for the province to control skyrocketing prices, Davidoff said he was surprised the province didn't make additional measures to increase development and density. "Homeowners tend to like low density in their neighbourhood as is, and mayors tend to respond to that," he said. The province could have imposed regulations to prevent municipalities from restricting development, he said, noting that low density housing keeps homeowners happy but hurts everyone when areas where new residences can be built are limited. "If you want to soften price growth ... you've got to add density and you've got to add apartments and townhomes," he said.